Off to Reading but I'll see you soon! Hiya! 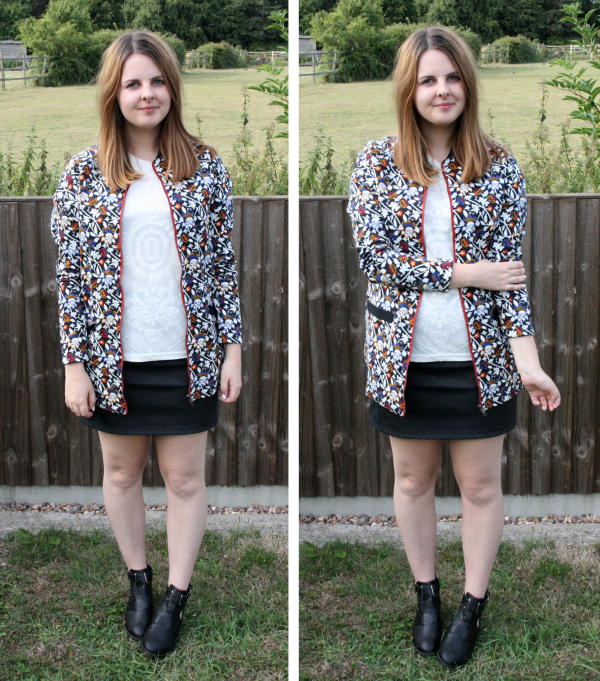 I'm off to Reading festival tomorrow morning but I wanted to do a quick outfit post for you tonight! I've been so busy sorting out festival stuff that blogging has kind of taken the back seat this week. Because of this, my blog may be kind of empty until I'm back on Monday, but as soon as I'm back everything will be back to normal. Promise! 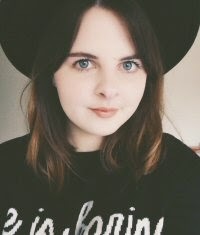 I have written a guest post for Lucy's blog which should be up at the weekend, so make sure to follow her blog if you want to check that out. I hope you like it! Hope you all have a great weekend! Are any of you off to Reading or Leeds too? love the print of the bomber! Loving the jacket, the print is so pretty! Have fun at Reading! you lucky sod!!! MASSIVELY JEALOUS of you and your impeding festival antics!!!! Love that bomber jacket, the pattern is so nice!! 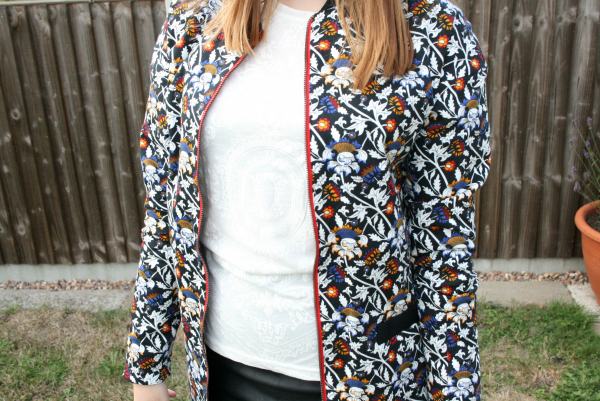 LOVE how you styled this jacket, the pattern on it is amazing! Badly want some cut out boots! I love that top I can't believe it's from primark! I guest posted for LucyCole!